Get ready to enhance your ensemble with the fabulous romance of the Roberto Coin™ Tiny Treasure Yellow Open Heart Earrings. 18K gold-plated metal heart earrings. Since 1996, a small ruby is hidden inside each piece of jewelry created by Roberto Coin. Legend has it this marvelous gem, which is considered eternal possesses the power to promote a long, healthy, and happy life. 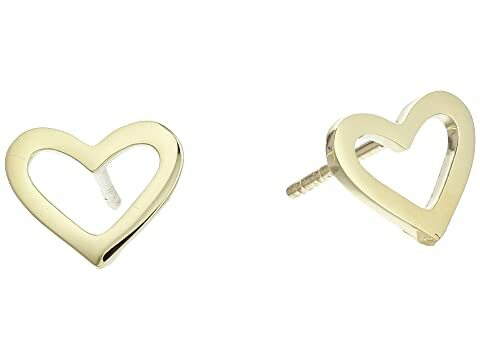 We can't currently find any similar items for the Open Heart Stud Earrings - Tiny Treasures by Roberto Coin. Sorry!